Hazelnut… An indulgent flavour that does nothing but make the experience of Belgian Chocolate rich. The aroma, texture, taste of the fragrant nut deliciously intensifies the classic Belgian chocolate flavour of Magnum and how! 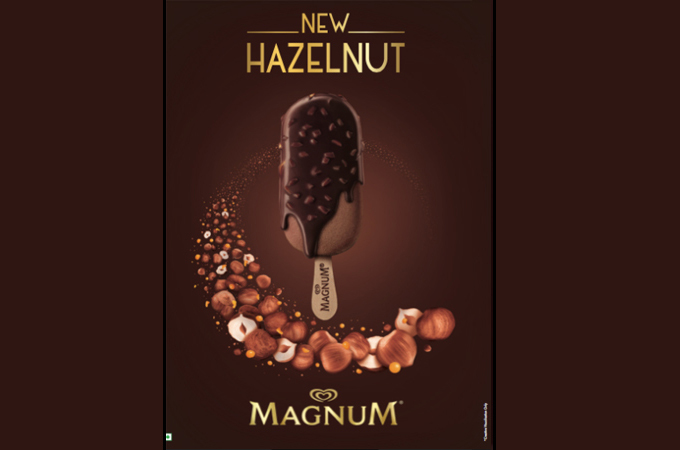 Moulded into a bar of pure hazelnut-flavoured decadence, the brand is delighted to announce the launch of the new Magnum Hazelnut Ice Cream across the country. Get ready to savour a tantalizing journey for your taste buds, brought to you by Magnum. The irresistible new variant, Magnum Hazelnut is available across stores in India for INR 90.